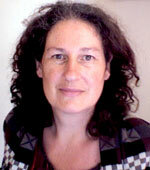 Diana is Professor of African History at Bristol UWE, UK, with specific research interests in Zimbabwe. She has so far published two monographs, Marriage, Perversion and Power: The Construction of Moral Discourse in Southern Rhodesia 1894-1930, (Oxford, 1993) and Law, Language and Science: The Invention of the ‘Native Mind’ in Southern Rhodesia, 1890-1935, Portsmouth, 2007. Both examine how fundamental civil, political and cultural rights were differently understood by African communities on the one hand and white settlers and administrators on the other. For many years Diana has been writing expert reports on Zimbabwe and the human rights abuses there for submission to the courts in asylum applications and appeals. Diana is also committed to the land reform programme in Zimbabwe, and it is clear to her that there are significant environmental and land-use concerns that must be understood if this programme is to benefit the people of Zimbabwe in the long term. These concerns have combined in a new project – only in very nascent form in October 2010 – that re-examines the discourses of witchcraft in African communities. In particular, it will look at the links between political, environmental and spiritual aspirations, and how discourses of witchcraft can play an important role in defending both human and environmental rights. This is a controversial project. It has so far has been well received amongst anthropologists and land-use campaigners. However, it clearly raises challenging issues for those in the human rights world, who are more used to regarding witchcraft accusations as a human rights abuse. Diana is currently working on a paper that looks at these issues in the context of the political violence in Zimbabwe during the 2008 presidential run-off election. Diana is a Fellow of the Royal Historical Society and a member of the Editorial Board of the Journal of Southern African Studies.